Is canola oil good or bad for you? I heard it can be toxic. Canola oil, which is derived from hybridized forms of rapeseed, is the second-most commonly used culinary oil in the United States, after soybean oil (Statista 2017). Despite this, it has acquired in some circles an undeserved reputation as unhealthy and even toxic (Canola Council). This misunderstanding appears to have resulted at least in part because of the high erucic acid content of unhybridized rapeseed oil (30% or more of the oil is erucic acid) and animal studies have shown that high intake of erucic acid may be harmful. However, due to extensive selective breeding, canola contains only small amounts of erucic acid (generally below 1% of the oil), which are considered non-toxic (Food Standards Australia New Zealand 2003). There has also been concern that much of the canola oil on the market comes from seed varieties that have been genetically modified to be resistant to the weed-killing herbicide glyphosate (as is also the case with soy, corn, and other commercial crops). However, there is no evidence that this presents a danger, nor does the genetically modified DNA remain in the processed oil (Food Standards Australia New Zealand 2000). (If you prefer to avoid genetically modified organisms (GMOs), non-GMO canola oil is available.) The maximum amount of glyphosate that is permitted in canola oil in the U.S. is 40 ppm (Federal Register 2013). Even if an oil had the maximum amount, it would contain about 575 mcg per tablespoon of oil, which is below the strict California limit of 1,100 mcg per daily serving of a food -- above which a warning label would be required. Another concern that has been raised with canola oil and other sources of linoleic acid is that they may increase the ratio of omega-6 fatty acids to omega-3 fatty acids in the diet and this might increase inflammation. However, linolenic acid has generally not been shown to increase inflammation and, furthermore, the amount of omega-6 in canola oil is lower than in other culinary oils, such as corn, safflower, and sunflower. Canola oil is safe to use in both cooking and in dressings. It has a favorable nutritional profile, a neutral flavor, and a high smoke point (University of Tennessee). Like extra virgin olive oil, canola's high monounsaturated fat and low saturated fat content makes it suitable for nutritional prevention and management dietary programs for cardiovascular disease, diabetes, and other metabolic conditions. When used to replace dietary saturated fat, canola oil is among the dietary fats that lower cholesterol and the risk of heart attack. Canola oil may even be one of the healthier vegetable oils available. It is lower in saturated fat than other culinary oils, at about 7%; its monounsaturated fat content, roughly 60%, is exceeded only by olive oil; and only flaxseed and walnut oils have a higher omega-3 (alpha-linolenic acid) fat content (British Nutrition Foundation 2009). Note that omega-3 fats are prone to breaking down at high temperatures, and very high temperatures over a prolonged time have been shown to lower ALA content of canola oil (Henon, J Am Oil Chem Soc 1997). As a result of its balance of unsaturated fats, canola oil, used as a replacement for saturated fat, has been found to lower total serum cholesterol and LDL-cholesterol (Lin, Nutr Rev 2013; Saedi, Med J Islam Repub Iran 2017). 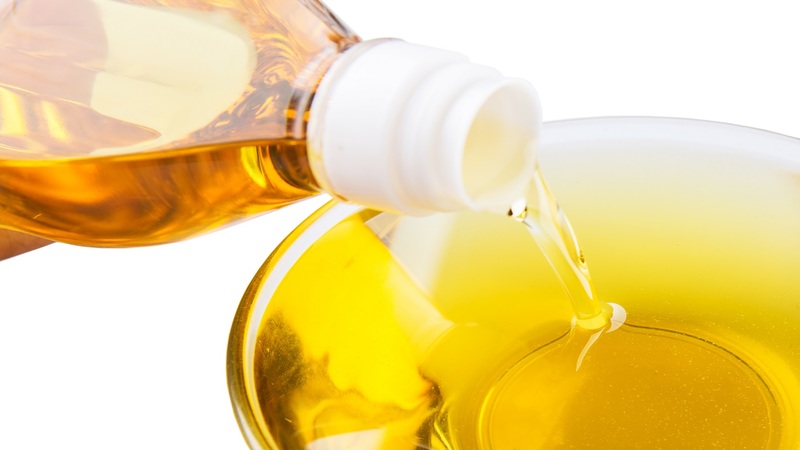 In a randomized controlled trial in 101 individuals with abdominal obesity, canola oil significantly reduced abdominal fat mass while other vegetable oils did not. All groups consumed the same amount of calories during the four-week intervention. The authors attributed their findings to canola's monounsaturated fat content (Liu, Obesity (Silver Spring) 2016). In another randomized controlled trial, type II diabetics were treated with either a low-glycemic load diet enriched with canola oil or a diet that emphasized whole grains. The canola-enriched low-glycemic diet resulted in a significantly reduced hemoglobin A1C compared to the whole-grain diet. The effect was most pronounced in subjects with higher systolic blood pressure. The canola diet, compared to the control diet, also resulted in greater reductions in Framingham cardiovascular disease risk score (Jenkins, Diabetes Care 2014). A randomized trial compared canola and olive oils to a common soybean/safflower mix in South Asian Indians with non-alcoholic fatty liver disease. Both canola and olive oils resulted in marked improvements in the extent of fatty liver. In the canola group there were significant reductions in fasting blood glucose and triglycerides as well (Nigam, Diabetes Technol Ther 2014). Canola oil is safe and non-toxic, it is the lowest in saturated fat of all culinary oils, and it has shown benefit in trials for lowering cholesterol and managing metabolic disorders. This CL Answer initially posted on 1/15/2019.